As part of our Warm Welcome campaign we are developing the skills of those working in the industry to promote local experiences that tourists will enjoy. The campaign is run in partnership with TUI Care Foundation and aims to spread the benefits of tourism to local people. 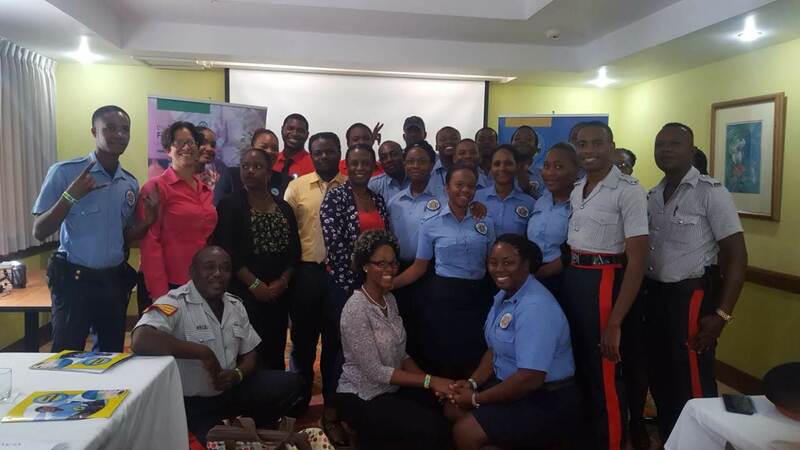 We recently trained 64 people, including 42 Resort District Constables, in Montego Bay on the importance of providing a warm welcome for visitors. Participants learned about the type of things tourists would like to see and do, and how to encourage them to get out of hotels and explore the area. This approach is about creating a network of ambassadors, from every line of work, to give a consistent message about the benefits and attractions of going out and about when on holiday in MoBay. Last year we ran workshops for craft traders, and online courses for frontline hotel staff. The course introduced participants to the needs, wants and expectations of international visitors with an emphasis of being able to ‘see things through their eyes’. It also covered the role of the ‘Warm Welcome Ambassador’ including how to use the Insider Guide & Map, and encouraging visitors to get out and about more in Montego Bay. It also helped Constables understand the importance of visitor exploration and how it affects tourism benefits reaching local communities in Montego Bay.